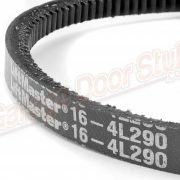 Marketed to the garage door industry but this is a universal product as long as the microfarad’s and voltage match. 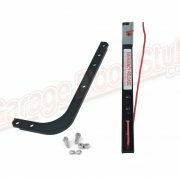 This particular capacitor can be found in several different brands of garage door openers including Challenger, AllStar, Allister, Linear and others. A motor capacitor, such as a start capacitor or run capacitor, including a dual run capacitor, is an electrical capacitor that alters the current to one or more winding’s of a single phase AC induction motor to create a rotating magnetic field. run capacitors and start capacitors. The units of capacitance are labeled in microfarads (µF or uF). 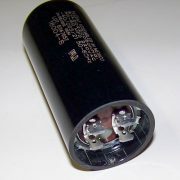 Older capacitors may be labeled with the obsolete terms “mfd” or “MFD”, which means microfarad. 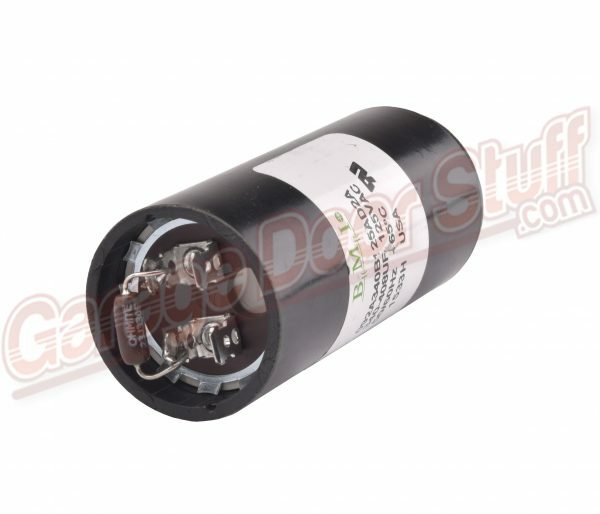 Motor capacitors are used with air conditioners, hot tub/Jacuzzi spa pumps, powered gates, large fans or forced air heat furnaces for example. A “dual run capacitor” is used in some air conditioner compressor units, to boost both the fan and compressor motors. 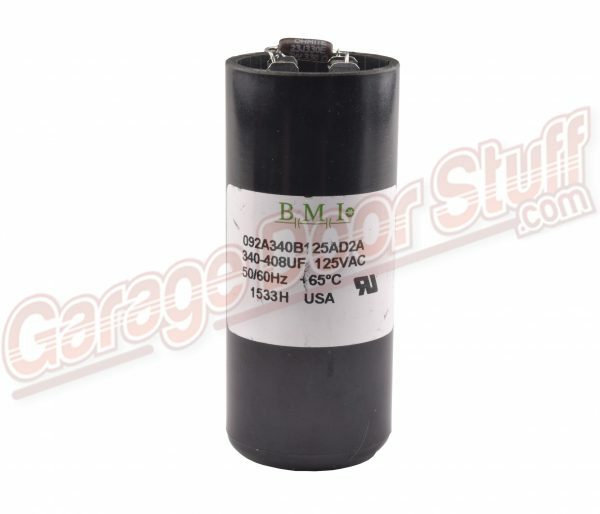 Start capacitors briefly increase motor starting torque and allow a motor to be cycled on and off rapidly. A start capacitor stays in the circuit long enough to rapidly bring the motor up to a predetermined speed, which is usually about 75% of the full speed, and is then taken out of the circuit, often by a centrifugal switch that releases at that speed. Afterward the motor works more efficiently with a run capacitor. 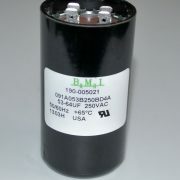 Start capacitors have ratings above 70 µF, with four major voltage classifications: 125 V, 165 V, 250 V, and 330 V.
88–108 µF at 250 V start capacitor. Start capacitors above 20 µF are always non-polarized aluminum electrolytic capacitors with non solid electrolyte and therefore they are only applicable for the short motor starting time. The motor won’t work properly if the centrifugal switch is broken. If the switch is always “open”, the start capacitor is not part of the circuit thus preventing startup of the motor. If the switch is always “closed”, the start capacitor is always enabled, thus likely destroying the capacitor. If a motor doesn’t start, the capacitor is far more likely the problem than the switch.